With so many variables in a pickup, we recommend that you write down exactly what you want and need before heading to the lot. The 2010 Nissan Frontier clearly isn't as large or capable as full-size trucks, but it offers enough toughness for personal use along with an especially good feature list. Based on several driving experiences with the Nissan Frontier, the editors of TheCarConnection.com compiled their impressions and drive notes into a Bottom Line summary. 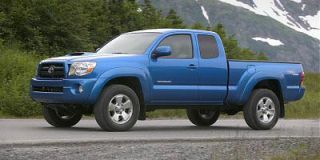 Then, for more information, the research team at TheCarConnection.com searched the most reputable review sources and included highlights to help show how the 2010 Nissan Frontier matches up against other trucks. 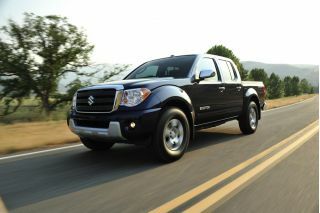 Riding on the same frame as the large Nissan Titan, the 2010 Nissan Frontier is hardly a compact. More appropriately, it's a mid-size truck, a full class larger than real compacts like the Ford Ranger. That said, the Frontier picks and chooses traits from compact and full-size trucks. In Crew Cab form, its interior closely rivals that of full-size pickups—so does its extensive feature set—yet in some of its most basic models, the Frontier is offered with a fuel-efficient four-cylinder engine. Designers can't do much with the shape of a pickup; there's the cab and the bed, and the proportions are quite rigidly set. But with the Frontier, Nissan managed to fit in some carlike curves, along with styling cues that are in line with more luxurious SUVs. The large chrome-bar grille is sophisticated, while the beveled window frames and flared wheel wells give it a chunky, serious appearance that's also tough and charismatic. Inside, the design is quite straightforward, with inexpensive-looking materials but a tasteful layout. There's no V-8 offered in the 2010 Nissan Frontier, but you're not likely to miss it. The 4.0-liter V-6 that's standard on most Frontiers and optional on some of them makes 261 horsepower, giving the Frontier strong acceleration and good passing punch. Towing capacity rates up to 6,500 pounds. Throws are rather long for the manual transmissions, but they work well, as does the five-speed automatic, which responds nicely to quick passing needs. 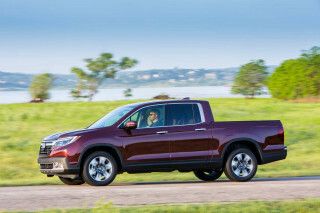 We don't recommend the base 2.5-liter four-cylinder in the Frontier unless you live in a relatively level area and won't be driving too often with heavy loads. If you can live with its limited 152 hp, the four-cylinder gets fuel economy figures of 19 mpg city, 23 highway, while the V-6 ranges down to 14/19 mpg. King Cab and Crew Cab versions of the 2010 Nissan Frontier are offered (there is no basic short-cab version), but with each body style, you can choose between rear- or four-wheel drive. If you need easier backseat entry and enough space for two adults, especially for extended trips, you'd better go with the Crew Cab; the King Cab configuration allows for occasional backseat passengers with small front-hinged rear access doors and flip-up backseats, but they're puny and uncomfortable for adults. On either body style, the front seats afford a nice, upright driving position with good outward visibility, and the seats are very supportive and comfortable. Cargo-hauling is, of course, a big priority for shoppers looking at the 2010 Nissan Frontier. 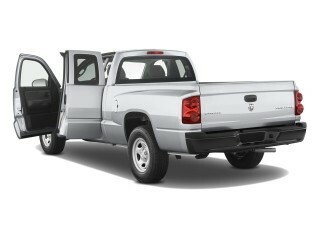 Cargo beds for the Frontier are six feet long at most, so it will never be a true rival to full-size trucks. But the Frontier offers several features not otherwise found in pickups in this price range. The cargo bed includes a factory-applied spray-in bedliner. For those who need to secure small or heavy items in back, the available Utili-Track cargo tie-down system is recommended. The 2010 Nissan Frontier gets acceptable but not excellent crash-test ratings, with a mix of four- and five-star ratings in federal frontal tests and five stars in NHTSA's side test. Two-wheel-drive versions get a three-star rollover rating. In IIHS tests, the Frontier rates "good" in frontal offset but only "poor" in the seat-based rear-impact test. The IIHS hasn't retested the Frontier since side airbags and side-curtain bags became standard. Otherwise, the Frontier has a respectable safety-features list, though electronic stability control isn't offered on four-cylinder models (it's standard with the V-6). Hill Start Assist and Hill Descent Control testify to the Frontier's off-roading credentials. The base four-cylinder Frontier XE models are quite basic—they don't include air conditioning, power windows, or even a tilt steering wheel. SE models are better equipped, while LE models get all the popular equipment, like larger alloy wheels, fog lamps, chrome trim, tie-down cleats, the Utili-Track system, cruise control, keyless entry, power accessories, and a four-speaker sound system. Options include a limited-slip differential, leather seats, a high-powered Rockford Fosgate audio system, and a choice of either XM or Sirius Satellite Radio. Serious trail-crawlers will want to check out the PRO-4X Off-Road model. There are no surprises here; the 2010 Nissan Frontier has a nicely detailed exterior, along with a pleasant but predictable interior. Designers can't do much with the shape of a pickup; there's the cab and the bed, and the proportions are quite rigidly set. But with the Frontier, Nissan managed to fit in some carlike curves, along with styling cues that are in line with more luxurious SUVs. The large chrome-bar grille is sophisticated, while the beveled window frames and flared wheel wells give it a chunky, serious look that's also tough and charismatic. The Frontier has what ConsumerGuide refers to as a "middle-of-the-pack size"; with its design and style, it "carves out a nice niche for itself in the compact-pickup market." Edmunds likes its "rugged disposition," and Car and Driver appreciates the Frontier's "romp-and-stomp styling." Cars.com notices its "grille with angled chrome inserts and chrome-plated bumpers" and "short front and rear overhangs and large geometric fender flares." Meanwhile, Motor Trend remarks that the Frontier's appearance hasn't changed much in many years, commenting that "its looks are still hanging around the starting gate." Inside, the design is quite straightforward, with inexpensive-looking materials but a tasteful layout. "The roomy cabins offer straightforward controls, comfortable front seats and an attractive design," Edmunds notes. Provided you get the V-6, the 2010 Nissan Frontier performs well. The 4.0-liter V-6 that's standard on most Frontiers and optional on some of them makes 261 horsepower, giving the Frontier strong acceleration and good passing punch; nearly all reviewers recommend it over the base 152-hp four-cylinder engine. By nearly all accounts, the V-6 engine provides plenty of power and torque to move the Frontier quickly—even with a load. Car and Driver asserts "the Frontier stands out in its segment, thanks to its excellent 261-hp V-6 engine and its stellar steering and on-road handling." The relatively low power and torque ratings of the 2.5-liter four make it "a decent choice only for those who need a low-cost, light-duty work truck," Edmunds says. Popular Mechanics doesn't think the four-cylinder is so bad, commenting that it makes "a powerful argument for someone whose hauling needs preclude a thirstier V6." The 2010 Frontier comes with either a five-speed (four-cylinder) or six-speed (V-6) manual transmission or a five-speed automatic (either engine). Manual gearboxes have long throws but are easy to live with, while the "automatic transmission delivers perfectly timed shifts whether you're maneuvering in traffic or flinging the truck around in the sand," raves Edmunds. ConsumerGuide also notes that the automatic V-6 "kicks down quickly for good midrange passing punch." Fuel economy ranges from just 14 mpg city, 19 highway with the V-6 up to 19/23 mpg with the four-cylinder and manual transmission. The PRO-4X Off-Road model adds heavy-duty components, including Bilstein off-road chocks and off-road alloy wheels, and it's equipped for those who plan to use their truck in the toughest terrain. Four-wheel drive is only offered with the V-6 engine. Edmunds says, "Frontier 4x4s are capable off-road, thanks to a maximum 10.1 inches of ground clearance and plenty of suspension travel." You might not expect much driving enjoyment from pickups, but the Frontier handles quite well. Car and Driver says that "the steering is tight and accurate," while Edmunds describes it as "tight and communicative." Popular Mechanics also notes the "accurate and calm steering and well-damped body motions." Cabin materials might be a sore point for some; otherwise, the 2010 Nissan Frontier has a roomy, appealing, and quite comfortable interior. King Cab and Crew Cab versions of the 2010 Nissan Frontier are offered (there is no basic short-cab version), but with each body style, you can choose between rear- or four-wheel drive. If you need easier backseat entry and enough space for two adults, especially for extended trips, you'd better go with the Crew Cab; the King Cab configuration allows for occasional backseat passengers with small front-hinged rear access doors and flip-up backseats, but they're puny and uncomfortable for adults. On either body style, the front seats afford a nice, upright driving position with good outward visibility, and the seats are very supportive and comfortable. The interior of the Crew Cab is called "spacious" by Edmunds, and ConsumerGuide says there is "good six-footer headroom and legroom" in the front seat. Several reviewers criticize interior quality—more specifically, the overall look and feel of the cabin materials. ConsumerGuide explicitly believes that the interior "looks low-buck" due to hard plastic on most surfaces. Car and Driver says otherwise, that "interior quality is above average for the segment, as many of the Frontier's interior pieces are shared with the Nissan Xterra sport-utility vehicle." 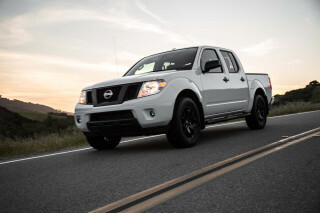 Ride quality in the 2010 Nissan Frontier is generally better than in most other pickups. ConsumerGuide describes the ride as "absorbent," even though it's still somewhat jarring at times. Edmunds reports that "ride quality on pavement is surprisingly good for a compact/midsize pickup truck, while Car and Driver points out that the Nissan Frontier's "structure is extremely solid." Popular Mechanics also mentions the sense of solidity and says that "noise is suppressed far better than one might expect." 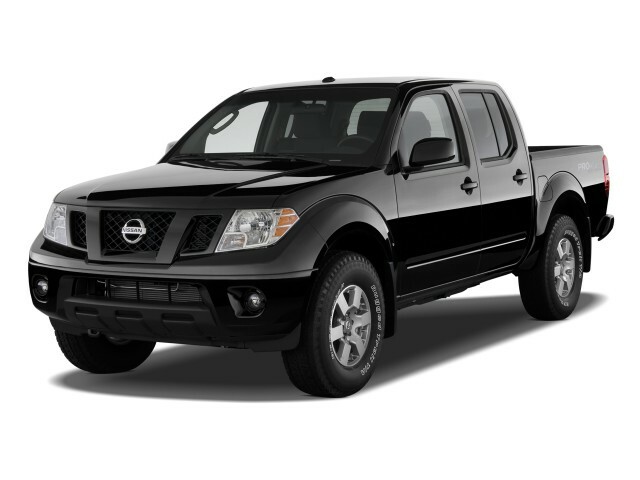 Relative to other trucks its size, the 2010 Nissan Frontier offers respectable safety. 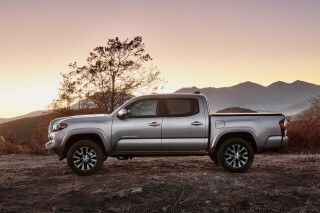 Pickups, especially compact and mid-size models, haven't historically been as strong for safety as other types of vehicles. Although the 2010 Nissan Frontier isn't at the front of the pack in safety, it's respectable. The 2010 Frontier has acceptable but not excellent crash-test ratings, with a mix of four- and five-star ratings in federal frontal tests and five stars in NHTSA's side test. Two-wheel-drive versions get a three-star rollover rating. In IIHS tests, the Frontier rates "good" in the frontal offset but only "poor" in the seat-based rear-impact test. The IIHS hasn't retested the Frontier since side airbags and side-curtain bags became standard. 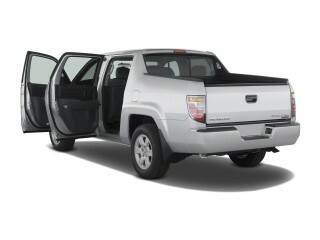 The 2010 Nissan Frontier offers more than most other trucks in its class—including some nifty cargo solutions. The 2010 Nissan Frontier offers a much wider range of features—especially related to interior comfort and cargo-bed utility—than most compact or mid-size pickups. The base four-cylinder Frontier XE models are quite basic—they don't include air conditioning, power windows, or even a tilt steering wheel. SE models are better equipped, while LE models get all the popular equipment, like larger alloy wheels, fog lamps, chrome trim, tie-down cleats, the Utili-Track system, cruise control, keyless entry, power accessories, and a four-speaker sound system. Edmunds likes the Frontier's "innovative bed features." Motor Trend notes, "Extra options for the Utili-Track system include bed dividers, sliding cargo trays and modular storage units." Other options include larger wheels, a limited-slip differential, leather seats, a high-powered Rockford Fosgate audio system, and a choice of either XM or Sirius Satellite Radio. Edmunds notices that since options are packages into just a few large packages, buyers are forced to spend more money on an entire package even if they want only one particular option. Serious trail-crawlers will want to check out the PRO-4X Off-Road model, which, according to Popular Mechanics, has "Bilstein shocks and extensive underbody protection, too, which is reassuring in the rough." Motor Trend specifies that the package includes "goodies like skid pans for the oil pan and transfer case, an electronic rear differential locker, Bilstein shocks, and special machine-finished 16-in. alloy wheels wrapped in BFGoodrich Rugged Trail tires."